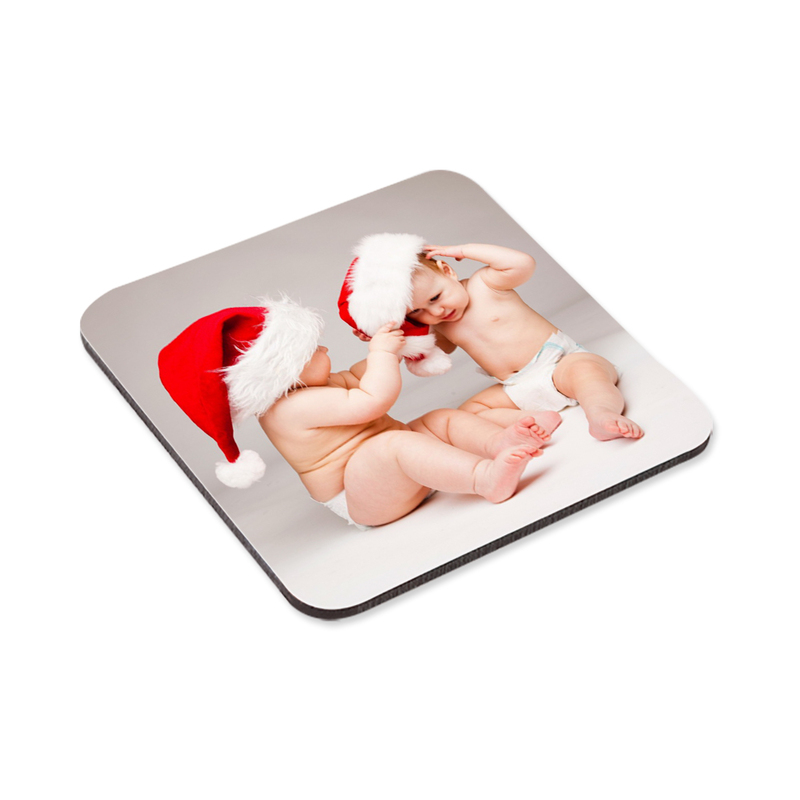 This attractive round edged hardboard coaster is durable, with a glossy surface and cork backing, featuring your photo. 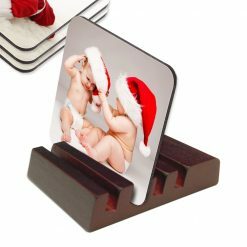 Durable, hard and glossy surface with cork back measure 3.75 x 3.75 inches. They’re slightly more than 1/8th inch thick. Your photo must be at least 768 x 768 pixels in size. Coasters have good color reproduction, but not as accurate as photographic prints.